I am kind of lost for words to see the happenings in Manipur – the indefinite blockade in the hills for the last so many days; the ambushes on the police, the bandhs and counter blockade etc of late, lots of things have been happening. 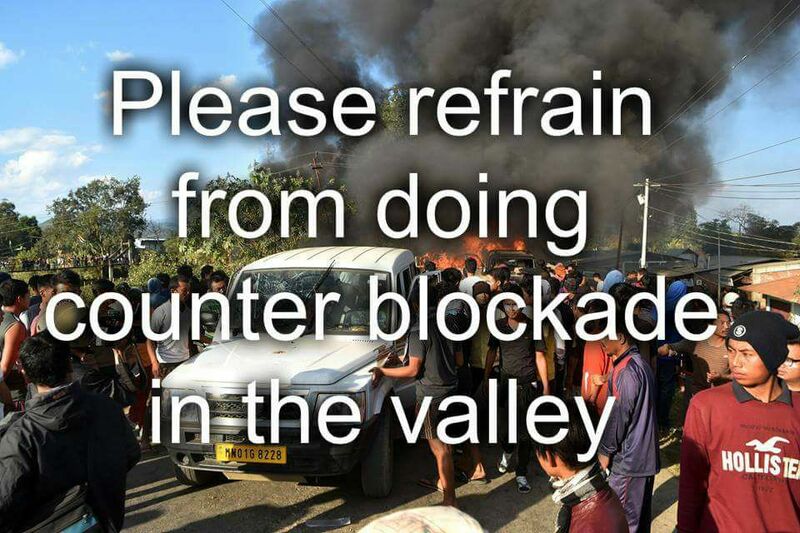 There are reports of counter blockades in parts of Imphal today. I am requesting the people of the valley to not resort to such acts. We, in the valley are suffering due to some people/ leaders of the hills that call for blockade in the highway. Yes, some anti social elements did come out blocking and destroying the vehicles and goods few weeks back on the highway, even the police escorts were sent back to Imphal. Now, if we do the counter blockade, the innocent people of the hills will again suffer. I know we are all very very angry, but if we do the counter blockade, we are no different from them. On humanitarian ground, let the vehicles and buses pass by. Doing counter blockade and attacking churches is not a way of paying respect to the departed martyrs, I feel. The people who are suffering have nothing to do the ones who fired on the police. They died for a united Manipur, let us not make Manipur divided. That said, I would like to also say something to the individuals who have posted in social media against the attacks on MBC yesterday, the counter blockade at Khurai today – why were they so silent when there have been indefinite blockades in the hills all these days? Not a single word of condemnation then, and why now when the counter blockade happens, they start to complain. That’s being hypocrite! And dear UNC, you please do your protest against the government for your reasons and grievances, I am okay. But your economic blockades along the national highway have made the prices of petrol, and other basic commodities sky rocketed. Like everyone in the valley, I bought petrol at Rs 180 a litre. 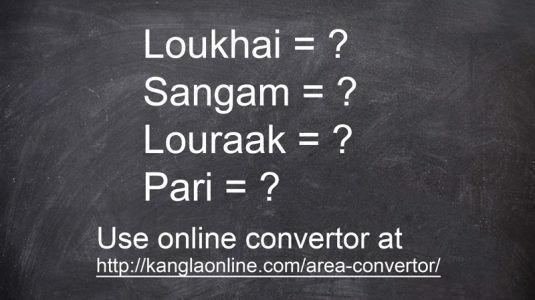 Why should you make the common people in the valley suffer again and again for any issue? Today is the 48th day of your ongoing blockade. Such sadists you are!! If NSCN (IM) has a ceasefire agreement with the GOI in Nagaland, so be it. Happy for their peace. But why does the Central and the State Govt let loose gun totting NSCN (IM) cadres in the open at different parts of the State threatening, firing, killing, robbing… as they please. Have they taken over the government as keepers of law in these parts of Manipur? Reports coming in now say that three vehicles are burnt at Mao and Senapati, two vehicles at Sajang, near Lamlai. Please STOP the blockades in the hills and counter blockades in the valley!! It’s not going to help anybody.